Our antistatic treated SCANBLEND PC/ASA keeps the dust away. Dusty car interiors are never a pretty sight, and the fact is that if dust stays for too long on the surfaces, it tends to stick – being quite difficult to remove. Especially in corners and tight spots, it can be close to impossible to get rid of. Some plastic parts tends to attract dust, due to a charge of static electricity. This is since the insulative properties of the plastic do not allow electric charge to dissipate very quickly. For this specific reason -one of the leading automotive producers in Europe have been using Polykemi´s anstistatic treated SCANBLEND PC/ASA in their premium models-actually already for some years in growing volumes. The material is used for especially sensitive & dust obvious parts – placed directly in the field of eye sight. 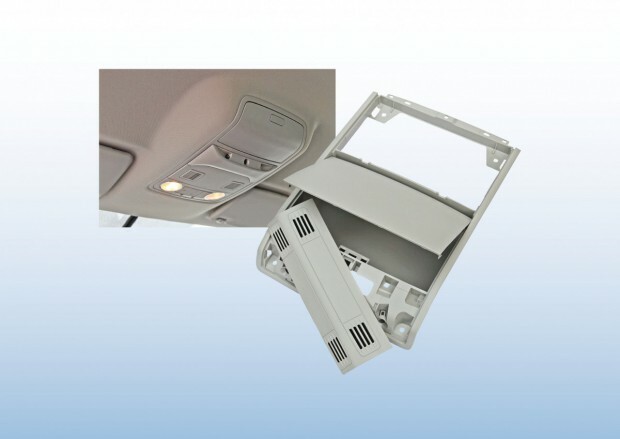 Example of such parts are storage boxes for sun-glasses in the center roof console and make up mirrors in the sun visors..
New equipment (picture below) has been added to the Polykemi lab to measure the antistatic properties in accordance to PV 3977. Article in Chinese edition of Kunststoff-magazine.de HERE! Read the complete press text HERE!